For almost two decades Assad provided refuge to Abdullah Ocalan, founder of the Turkish-Kurdish organisation the Kurdistan Workers Party, or PKK. Assad permitted the PKK to use parts of Lebanon’s Bekaa Valley (then under Syrian regime control) to build military training camps as well as heroin laboratories (a venture of great mutual benefit). In October 1998, under Turkish pressure, Ocalan was made to leave Syria. He fled through several countries until Turkish agents captured him in Kenya. But much of his Syrian infrastructure remained. Later it would be revamped as the Democratic Union Party, or PYD. The PYD taught its followers to focus on the fight in Turkey, not Syria. Instead of organising a struggle for Kurdish civil and national rights at home, the PYD sent nationalist young men to join the insurgency across the border. The party (and others too) played a confusing role during the 2004 Syrian Kurdish intifada. On the one hand, many PYD-affiliated Kurds were arrested and abused, and some detained for years, for their anti-regime activities; on the other, Kurds sometimes reported that the PYD assisted the regime in suppressing the uprising. When the 2011 protest movement erupted, Kurds formed a key component. Arab Syrians showed their appreciation by chanting ‘Azadi’ – the Kurdish word for freedom. The revolutionary leader Meshaal Temmo, supporting resistance to the regime and self-determination for all, described the Kurds as “an inseparable part of the Syrian people”. The regime assassinated him in October 2011. In July 2012, hard-pressed against the developing Free Army challenge, the Assad regime made an orderly withdrawal from Kurdish-majority areas, handing over security installations to the PYD. A transfer of authority, therefore, rather than a liberation. Abdullah Ocalan, meanwhile, imprisoned on an island in the Marmara Sea, had been reading the American anarchist theorist Murray Bookchin, and radically changing his rhetoric as a result. He no longer aimed for a unified Marxist-Leninist state, but for borderless, self-organised communities that would render the state irrelevant. “The democratic confederalism of Kurdistan is not a State system,” he wrote. “It is the democratic system of a people without a State.” The theory seemed particularly applicable to Syria, where the Kurdish-majority areas are not territorially contiguous. In theory, and to an extent in practice, the PYD implemented ‘democratic confederalism’ in the three Kurdish cantons in Syria – Jazira, Kobani and Afreen – collectively known as Rojava. The cantons were governed democratically by local and regional councils. It was an undoubted victory on a Kurdish national level too (for instance, Kurdish children could now attend Kurdish-language schools). It also seemed to betoken a brighter future for Kurdish women. After all, the Women’s Protection Units, or YPJ, compose 40% of the PYD’s troops. All in all, the PYD was a great improvement on Baathist dictatorship. And not surprisingly, the radical and democratic nature of the Rojava project won significant support from Western leftists. It’s a pity that no such support was shown for the self-organised, democratically-selected revolutionary councils in Arab areas, although the Arab towns were under relentless attack from land and sky. (Until the ISIS attack on Kobani, the Kurdish cantons were spared bombardment). In most cases, Western leftists remain blissfully unaware that the councils even exist in Arab-majority neighbourhoods. They see only Islamist extremists – who are present in large part as a result of the bombardment. Ideological blinkers and journalistic failures must be equally blamed for Western ignorance of these Syrian democrats. The current tendency to romanticise the PYD also ignores the rapidly expanding gap between the party’s rhetoric and the reality on the ground. In practice, PYD directives supercede council decisions. Free radio stations are closed, alternative political parties banned, dissenters repressed. The PYD enforces a monopoly on aid and money entering Rojava, and its People’s Protection Units, or YPG, monopolise the weapons. A large proportion of YPG fighters are Turkish, not Syrian Kurds. Compulsory military conscription has driven many Syrian Kurdish men into refugee camps in Iraqi Kurdistan. So there was bad blood from the start. Arabs, Turkmen, and some Kurds considered the PYD to be collaborators with Assad. Relations deteriorated further with the rise of Islamist extremists in the armed rebellion. Ahrar al-Sham and Jabhat al-Nusra skirmished with the PYD. The violence culminated in ISIS’s terrible assault on Kobani. In the end, PYD-forces assisted by small Free Army contingents expelled ISIS all along the border from Kobani to Jazira. And so they linked up those cantons, through Arab-majority land. In the context of the anti-ISIS struggle, the PYD entered into military alliances with both Russia and America. Blame should not be cast automatically on people seeking help, for reasons of survival, from anywhere they may find it. It’s notable, though, that the same ‘anti-imperialists’ who write off Syrian revolutionaries (if they receive an American ready-meal or a pair of night-vision goggles) as CIA-agents, emit scarcely a squeak of criticism against the PYD’s pragmatism. 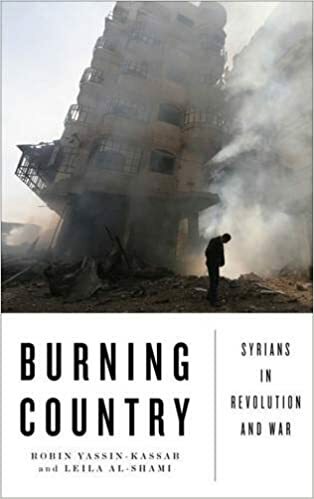 As I write, what survives of Syria’s democratic revolution is rapidly losing ground to an imperialist coalition of Russian planes and artillery, Iranian soldiers, Iranian-backed Shia jihadists from Lebanon, Iraq and Afghanistan, and local Assadist militias. Tragically, the PYD has joined this assault on Free Syria by invading and occupying Arab towns in northern Aleppo province. It is able to do so only as a result of the Russian carpet bombing which has driven much of the province’s remaining population north to the Turkish border. These are not towns that Kurds were driven out of as part of regime Arabisation policies. This area always had an Arab majority, which is why the PYD never claimed it as a canton. But now the PYD is exploiting the changed balance of forces to capture this land and thereby link up the cantons into a territorially contiguous area around which to draw a border. It is clear now that it wants a state, not ‘democratic confederalism’, and it’s prepared to change demographics and ally with fascists to achieve its goal. 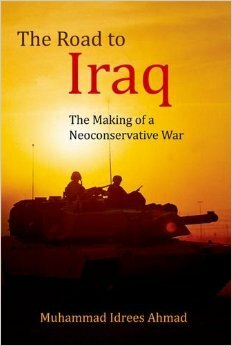 In this it is applying the hard-nosed realpolitik that states and state-projects always apply. From an ethno-nation-state perspective, it’s very understandable. But it’s also criminal, and entirely counter-revolutionary. PYD propaganda says it’s fighting Jabhat al-Nusra, but Nusra is scarce in in northern Aleppo, and the towns under assault are defended by local Free Army men. The current PYD action actually benefits jihadists in general, ISIS in particular, because the larger Russian plan is to encircle Aleppo city and the whole of Idlib province, to drive out the remaining civilians, to starve resisters into submission, and to utterly destroy the councils and the democratic-nationalist militias. Because foreign powers are clearing and occupying Syria, the conflict is morphing again, this time into a national liberation war. Surely it would be better for Kurds and everyone else if the democrats survive to participate in this struggle. Otherwise it will be led be jihadists. When the Russian and Iranian states are finally repulsed, Arabs, Turks and Kurds will still inhabit the land. Syrian Kurds have an undoubted right to self-determination, to decide their own destiny. Syrian Arabs do too. They’ve been fighting for it for five years and they will continue to fight, however hard the terrain. So the PYD’s gamble is likely to backfire. Its current approach is criminally stupid, and for that many must bear the blame. Certainly the ‘official’ opposition could have done much more early on to assure Kurds of their right to autonomy, at least to remove the ‘Arab’ from ‘Syrian Arab Republic’. 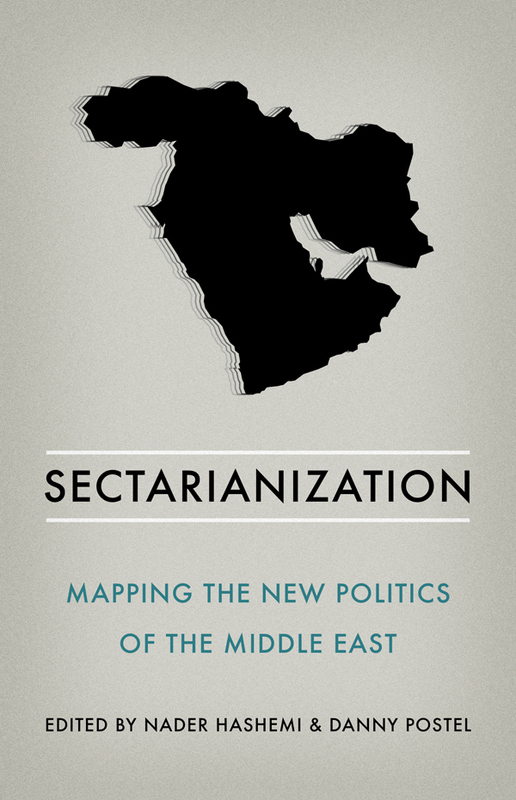 Too many, particularly those of the older generation who adhere to traditional political models, continue to worship the notion of a strongly centralised (and Arabist) state. But still the Kurdish National Council, repressed in Rojava, is incorporated into the Syrian opposition’s Coalition, and a Kurd, Abdel Baset Sida, once led the Syrian National Council. There are plenty of Kurds in the Free Army as well as in the Islamist battalions. All over the country Kurds work alongside Arabs in civil activism. It’s a grave mistake to equate the PYD with the Syrian Kurds in general, who are a people as diverse in opinion as any other. Even ISIS boasts a large Kurdish contingent. The leader of the attack on Kobani was a Kurd. The hope lies with those Syrian revolutionaries, Arab, Kurd, Turkmen, Syriac, who stand and fight in mutual solidarity.